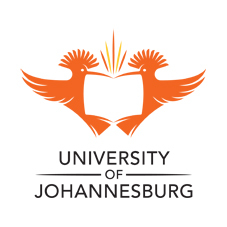 The University of Johannesburg (UJ) is giving a second admission chance to prospective students who lack the required symbol for Mathematics, Physical Sciences and Life Sciences to improve their marks for higher education admission. Known as the Science Bridge @ UJ, the bridging school programme, launched in 2014, focuses on the Grade 12 Mathematics and Physical Sciences curricula that had undergone major changes in content and underlines new approaches and include new updated topics as the CAPS were implemented. Supported by UMALUSI, the Council for Quality Assurance in General and Further Education and Training, the intensive yearlong bridging courses are designed to be more practical and specialist orientated and are also in line with government’s policy of outcomes based education – where textbook knowledge is tested. It highlights new learning areas, new content, and learner-centeredness. All of the learners improved their original matric marks and received the necessary matric exemptions to study further at University of Johannesburg. Three of the learners improved their marks substantially. For example one learner, improved his Mathematics mark from 34% to 84% and his Physical Sciences mark from 42% to 76%. Other students improved between 8 to 12 % giving them the necessary marks to now apply at tertiary education institutions,” she said. “This is a fantastic result and shows that UJ’s Bridging School programme works.”The programme will this year be presented on the University’s Auckland Park Kingsway Campus and will start in February 2015. Although the lectures will be presented in English, questions that are asked in Afrikaans will be answered in Afrikaans as far as possible. The cost of a course per subject is R6 000.00 and includes all study material (notes and textbooks); two hour lecturers per subject twice a week; test and exams preparations, memorandums for tests; quarterly reports and access to practical laboratories.Dr Jacobs concludes: “The Bridging School programme reflects a commitment within UJ to make tertiary education in the specific fields of Science, Engineering and Health Sciences more accessible to a wider pool of South Africans.